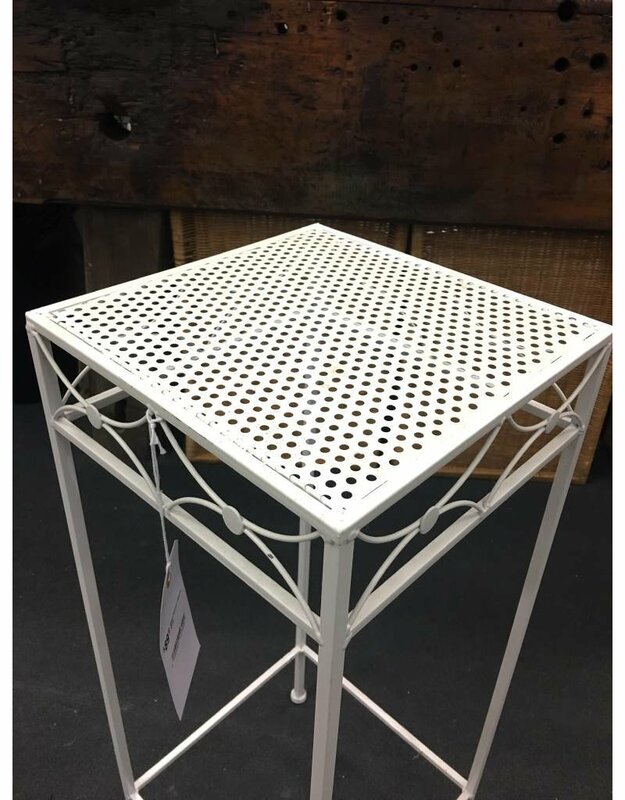 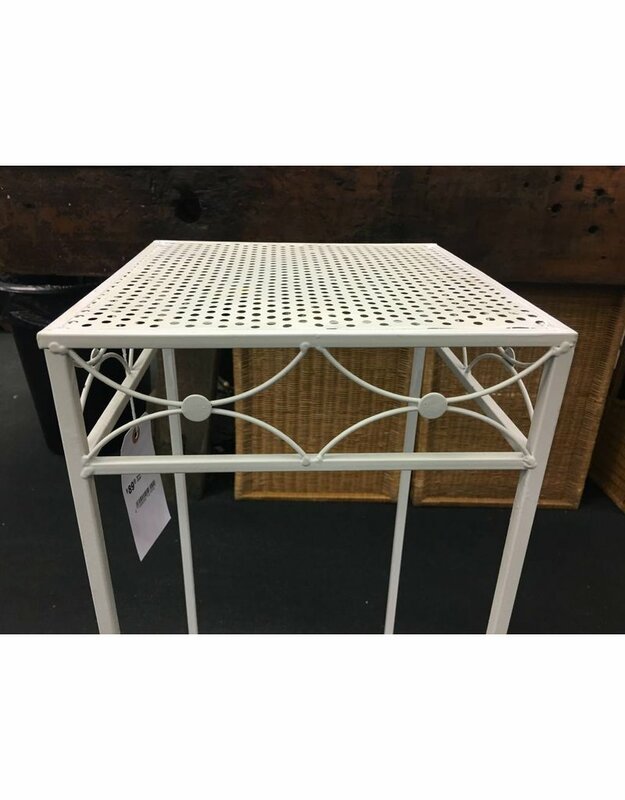 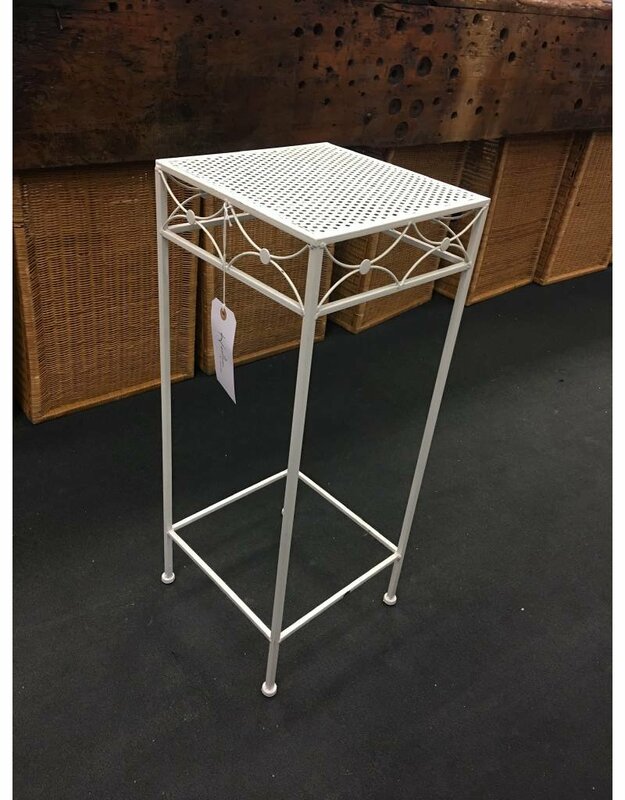 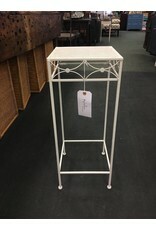 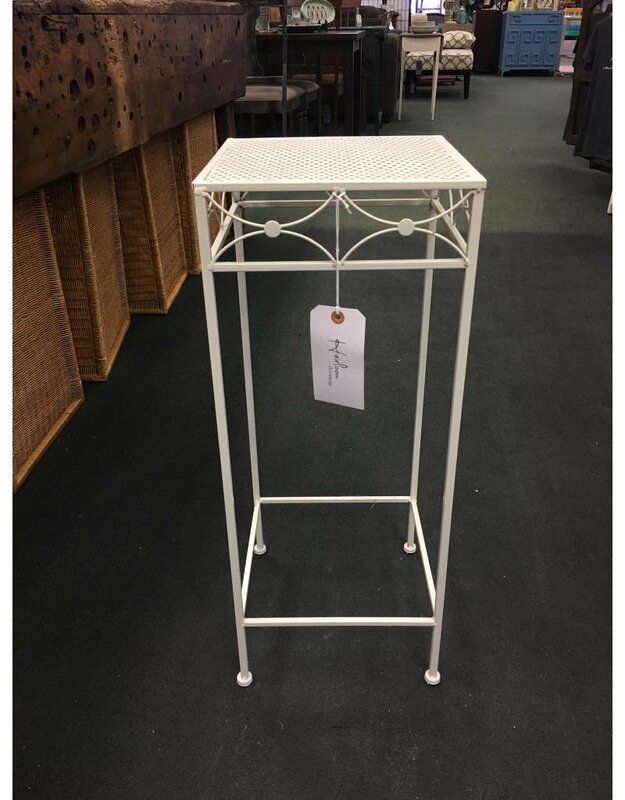 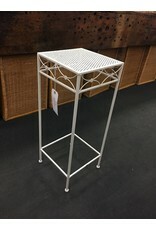 Older metal plant stand with a square, pierced metal top. 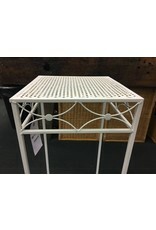 Finished in white and in like new condition. 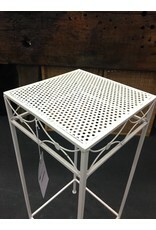 11" x 11" x 27.5"